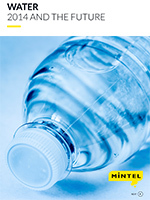 This global annual market overview will provide you with an in-depth review of the key issues in the global water market through 2014 as well as our forecast for what will happen in 2015 and beyond. Unwelcome associations with environmental waste mean that the bottled water sector has been no stranger to negative media attention over the years. But with the sugar content of fizzy drinks and fruit juice sparking widespread condemnation, the bottled water markets in more developed regions have emerged with a new health halo of late. In emerging markets, growth has been supported by population growth and consumer dissatisfaction with the safety and accessibility of tap water, exhibited by the dramatic sales growth in China and Indonesia. Rapid urbanization and higher consumer spending power have also supported demand in more developing markets. The number of global bottled water launches has increased annually since 2011, with Europe accounting for the bulk of NPD. However, Europe was the only global region to see a decline in activity over 2013-14. This decline correlates with the fact that all 10 of the slowest growing bottled water markets, by volume, are European countries. Flavoured water accounts for only around four in every 10 bottled water products launched worldwide although the trend is reversed in North America.